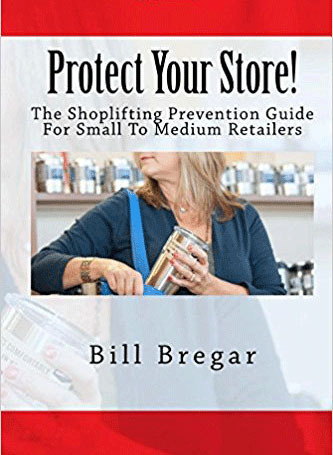 There’s no question about it electronic article surveillance (EAS) retail anti-theft devices work in every store they are used in. 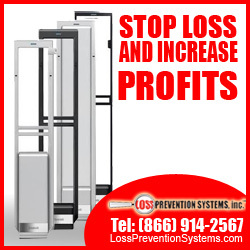 In fact they are so effective that according to the Sensormatic Global Retail Shrink Index, EAS is the most popular Loss Prevention and Asset Protection investment among retailers in the United States. 92.16% of retailers surveyed indicated they are investing in electronic article surveillance (pg. 45). Is it enough that EAS tags are used or is there more to making them an effective tool? Keep visibility in mind. While hiding tags may seem like a good idea at first it can cause some problems for the retailer rather than a thief. Hidden hard tags may not be seen by a cashier and removed when a piece of clothing is purchased. That can cause an unnecessary EAS tower alarm and an embarrassing moment for your patron. A similar problem can occur with an EAS label if it is hidden. It may not deactivate properly at the point of sale and cause a false alarm. Location of tags is important to prevent concealment by a shoplifter. If a pair of pants is protected with a hard tag on the waistline it is not difficult to untuck a shirt and hide it. Keeping the placement where the tags are hard to cover improves the deterrent effect of the devices. Another thing to avoid is placing soft tags or labels on manufacturer hang tags if possible. I encourage retailers to place labels directly on merchandise packaging. For example a Sensormatic label is difficult to remove from a box of razor blades but if it is on a hang tag on a shirt sleeve a crook can pop the hang tag off and the label goes with it. When tagging pant or slacks a hard tag can be pinned through a seam near the knee. If that is a bit more work than you want to do, the next best solution would be a couple of inches above the cuff. Both solutions make it difficult to hide the tag and if the location is consistent on every pair of pants cahiers will be accustomed to looking for hard tags in the same place every time. If your store sells shoes people are going to want to try them on. I suggest tagging them through an eyelet. If there is no place to that a hard tag can be attached the next best solution would be a label on the bottom of the shoe. Tag both shoes as an extra precaution against shoplifting. Shirts should be tagged near the front of the neckline. The next best option would be the cuff of the shirt sleeve. The point is to keep the tags in as visible a location as possible. The problem with a cuff versus a neckline is that a cuff can be upturned and a tag hidden. Also when a tag is placed too close to the end of a cuff it is easier to make a small cut in the garment to remove a tag and repair it with a stitch or two. Purses can be protected with a hard tag. If you are tagging purses the key to doing so efficiently and reducing customer distractions is to tag them as closely as possible to one place for all bags. Wallets may have an EAS label hidden inside because they are more difficult to tag with a hard tag. If this is the case for your store make sure cashiers are all aware of this and carefully placing the merchandise on the deactivation pads at checkout. These are the most common items of clothing and softlines merchandise to be protected. Hopefully the message you are reading is that the consistency of a tagging program is what matters. Do it properly and you will have minimal false alarms and customer distractions and the alarms that do go off will be real attempts to steal. When supervisors and employees respond to real alarms and fewer false alarms they will be more thorough in their receipt checks. That will result in more recovered dollars and less shortage for you.